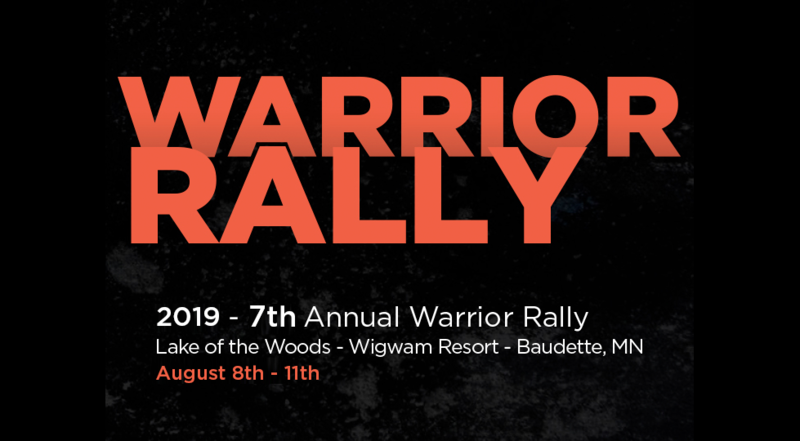 Anglers Insight Marketing LLC (AIM) is proud to announce that Melrose, Minnesota-based Warrior Boats is again a presenting sponsor for the 2018 AIM Weekend Walleye Series. Andersen’s legacy continues in his son, Adam, a frequent AIM competitor and winner of the first David A. Andersen Memorial Shootout in 2016. Other son Kent is Warrior’s national sales manager. This year, the Memorial Shootout is set for Aug. 11 on Minnesota’s Lake of the Woods. Warrior again will provide a new V1898DC boat powered by a 150hp Yamaha four-stroke engine, to be awarded to the winning team at AIM’s National Championship June 1-2 at Wisconsin’s Chippewa Flowage, near Hayward. Tournament headquarters is Treeland Resorts. 5. Warrior works with Ez Loader to build its own line of trailers made expressly to fit its boats, with extras like a swing tongue, disc brakes, boat tie-downs, LED lighting and Tuff Kote Paint. “For the type of water walleye anglers often find themselves in, Warrior just can’t be beat, and AIM is fortunate to have them as a Presenting Sponsor,” Fox said.For registration information and a schedule of all 2018 AIM Weekend Walleye Series events, visit AIMfishing.com Anglers Insight Marketing LLC (AIM™) is a unique tournament organization created and owned by many of the most accomplished and recognizable professional walleye anglers, along with others who share the mission of advancing competitive walleye fishing and making it sustainable into the future. AIM is committed to marketing excellence on behalf of its tournament competitors, the tournament host communities, and the brands that partner with it. AIM is also committed to maintaining healthy fisheries across the nation by the development of the exclusive AIM Catch-Record-Release™ format which is integral to its dynamic events and unparalleled consumer engagement. For more information about AIM™, AIM Pro Walleye Series™, AIM Weekend Walleye Series, AIM sponsors and AIM anglers, visit www.aimfishing.com. AIM Presenting Sponsors: Yamaha Motor Corporation U.S.A. and Warrior Boats, LLC. AIM Supporting Sponsors: Mercury Marine, Warrior Boat Center, Garmin, Navionics, Power Pole, Worldwide Marine Insurance, AirWave Pedestals, Off Shore Tackle, Nitro Boats, Vibrations Tackle, Pro Chattrr, Gemini Sport Marketing, Treeland Resort, Anglers Avenue.